If you've read TinkerTry for a while, you'll know I've enjoyed relying on Veeam Endpoint Backup FREE, right through version 1.5, to protect multiple physical PCs in my family. Several times a year, I'll do a full restore of important PCs to a VM, to be absolutely sure my backups are good. Occasionally, I'll go grab a single file out of a backup too. Click the image above to jump to the full list of new v10 features. Recently renamed, Veeam Agent for Windows v2 continues to offer a free version, but should add quite a bit of value add for folks that wish to manage physical and virtual machines centrally, including initial installation, and day 2 operations checking in on daily backups. 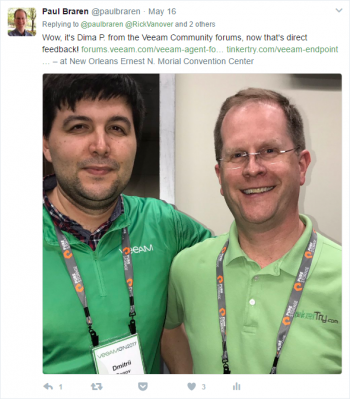 As a Veeam Vanguard, I had the opportunity to hang out with the many of the developers and team leaders who help create these products, right at VeeamON 2017 in New Orleans. 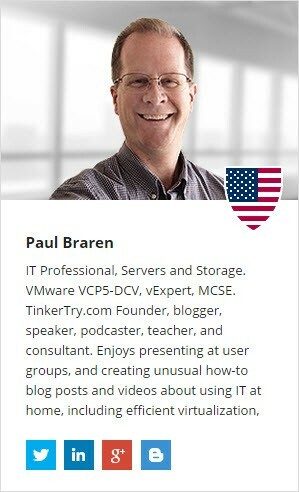 I had some delightful discussions surrounding PC backup with many Veeam developers, which was really quite fun. Not just the usual hello for 30 seconds in a hallway, but enthusiastic and extended conversations with Veeam folks like Dima P., who I've "known" for years in the forums. One of the many advantages of smaller conferences, with about 2,500 in attendance. 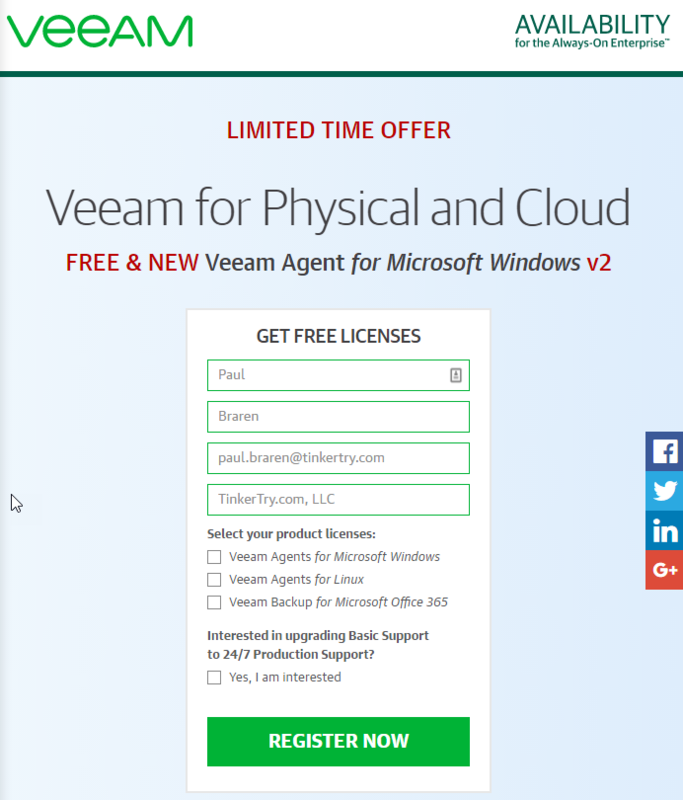 See also my recently published Open feedback for popular and free Veeam Agent for Microsoft Windows 2.0 (RTM Pilot), and the photo gallery that includes Anton Gostev's tips at The VeeamON 2017 Experience. I certainly look forward to kicking the tires on v10, and will let you know how it goes. But don't wait for me, for the Agent, you can get a free license of the workstation version now! May 31 2017 by Anthony Spiteri at Virtualization Is Life!